Do you want to produce a banger that sounds just like everyone else's? As September rolled around, our rundown of the top 10 dance music production clichés showed you how. 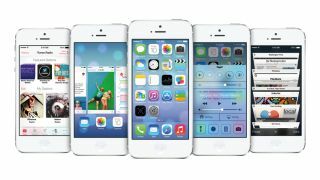 Apple's iPhone 5s arrived, promising a "64-bit desktop-class architecture", although audio problems with the new iOS 7 operating system dominated the minds of musicians who use Apple's touchscreen devices. As Dream Theater launched a new album, John Petrucci talked us through it, and Mark Tremonti did the same as Alter Bridge released Fortress. Finally, a beautiful sense of freedom prevailed as we rounded-up a selection of the best free and open-source music making programs. "We felt like a new band again. Everybody pushed themselves in pretty remarkable ways." What have MusicRadar users voted the best strumalong song? "We were pushing for unpredictability. Everything we could throw at these songs, we did."